So Space Marines finally have their own psychic powers... I have discussed these new psychic powers including an introduction and provided some tips on how to best use them. Some people are really upset about them but after having finally read them my conclusion is the really good ones are spread across the four new lores - Librarius, Fulmination, Technomancy and Geokinesis so even with three Librarians in a conclave you might at best only roll up one of the really good ones, some of which are very situational. I would never take more than three because after this amount you lose efficiency and start wasting points. The main purpose of the conclave is to enhance other units in your army, not to be your army's lynchpin unit. The best new psychic powers let you move a piece of terrain up to 24", switch positions between two squads (including a squad locked in close combat), shoot while ignoring line of sight, and re roll saves. These psychic powers will definitely shake up the current meta bringing back the assault phase back which is a problem for Tau and eldar players whom like to play the shoot and hide game - and that's a good thing in my opinion if these new psychic powers are given a chance and not immediately nerfed automatically by tournament organizers. My gauge on the overall reaction across the Internet is close to mine... No the sky is not falling. Eldar have their own psychic lore which includes Fortune that lets them re roll saves - nothing new there and it's been a staple for jetseer council for a long long time. Tau have units which can shoot at a high rate of fire power while ignoring line of sight without having to use any psychic powers so nothing new there either. Maybe they don't like it when another army has access to the same abilities but this kind of thing happens all the time. If they don't have any qualms using these abilities why should anyone else ? Think about it. Chaos Space Marines used to have Lash of Submission which was similar to the new Geokinesis psychic power that lets you move terrain. Sure it was very popular but there was never a movement to ban it's use - back then players learned how to deal with it. So while I'm not going to deny some of the new psychic powers are really good I just don't see them as game breaking like some say and I'll even go so far as to say it could actually be a good thing since it'll help deal with those annoying units like Warp Spiders and Windrider jetbikes. In conclusion my opinion is Telepathy and Santic Daemonology are still your go to psychic powers for Death Stars closely followed by Biomancy and Divination. I will add Geokinesis to the list now but like I said above its all random and some of the new psychic powers are very situational such as Null Zone which is a malediction that debuffs the targeted enemy unit's invulnerable saves. You can bet that opposing players will save their warp charge to dispel this one too which is not all that hard to do with a conclave and Admantium Will. My last article covered the most powerful new psychic powers and which lores from which best to select them. This article demonstrates how to optimally use them for your Death Stars. My advice is don't rely upon them to buff sub optimal units such as terminators as they are still sub tier even with the new super buffs. Libarius Conclave is your go to formation since you'll be able to roll for the most psychic powers and very reliably cast them too. The good news is Super Friends are even better now. I know there is still some hate out there but seriously with Tau and the very OP eldar it's not a big deal at all. 40k has never been more broke and that's the name of the game... Always has been. If you can't take the heat get out of the kitchen. There's lots of cry babies that play 40k... You always have options and nobody is forcing you to play the game. The new Wulfen can greatly benefit from these new psychic powers since you can cast them on friendly units. Put them in a big piece of gnarly terrain then launch it 24" right up into your opponent's grill... And yes they can assault out from the terrain the same turn - of course that's the best part. This is absolute proof GW is really bringing back the assault phase in a big way. If you can combo this with Endurance and Invisibility it's even better. Remember how at first when the new Centurions were released nobody really knew how to fully utilize them then Khaldor Draigo came along... Same thing here with Wulfen - they just got a lot better now. It's never been easier to make a unit more unkillable while simultaneously juicing up its killability. I'm very excited to test the new psychic powers on my Super Friends army for the extra über buffage. The army already is fast enough as is and the ability to re roll all saves for your Death Star will take them right over the very top. I see this as being a major problem for Tau - they have been relegated to sitting duck status... Heh ! Remember you can move line of sight blocking terrain to shut the dirty xenos down too. It's like I said above - completely unkillable with even more killability. The correct combination of old school Biomancy and Telepathy lores with the new ones will yield the best overall results. Ravenwing will greatly benefit since you can give them re rollable invulnerable saves... Yeah Tau are not going to like this at all. You'll want to start with your conclave first roll on either Endurance or Telepathy... I personally prefer Telepathy since I don't run a lot of multi wound models in my units. I would next roll on Santic for Hammerhand and Sanctuary. Your last lore is from the new ones... I'd go for the re roll saves since my army is way fast. Basically you'll have to figure out yourself what's the best combination for your own army. The new psychic powers will help some armies more than others. A lot of people are already overreacting. Eldar have had their own psychic powers for a long long time - it's not a big deal. Units that were already good will get even better now. I finally had a chance to read the new psychic powers in the Angels of Death supplement today. I've also read or watched some batreps featuring these powers. There's been a lot of talk about these new psychic powers and how they are very over powered. Just like any other psychic lore there are some good ones and some duds. My favorite go to lores are still Divination, Santic and Telepathy. There is one really good psychic power from the new Fulmination lore called Veil of Time which is a blessing and allows the target unit to re roll failed saves... Obviously this is really a great thing for Death Stars. The other new power (Shifting Worldscape) that really stands out is from the Geokinesis lore which allows you to move a piece of terrain up to 24"... Again really good for Death Stars since you can use the terrain as an open topped transport to launch assaults... Should work very well with the new Wulfen. The other new powers didn't really grab me to be honest and even with a Libarius Conclave you're fishing for these two super powers with no guarantee you'll get them. There is one other new psychic power called Null Zone I should mention that's a malediction and subtracts 2 from the invulnerable save for the targeted enemy unit... I don't rank it as high as the other two since it's quite situational only being of value versus certain armies. Finally there's another new power Electrodisplacement from the Fulminations lore that lets you swap the position of two friendly units, one unit being the one with the casting psyker... This is a great way to get a soft unit out of combat and insert your Death Star into the melee in their place which is definitely a viable deterrent. Seeing that the good psychic powers are spread over three lores (Techmomancy is not all that much to be honest) it's like I said above - you're fishing for them and probably won't get all the ones you really want. So I think due to the randomness alone you're at a potential risk rolling on these new lores. Have fun with them and hopefully you'll get some of the ones you really need. I will be starting my Primarch project next weekend - Rogal Dorn of the Imperial Fists ! 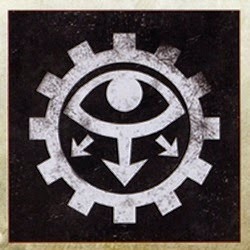 I will be using Ferrus Manus of the Iron Hands and Roboute Guilliman of the Ultramarines to craft my custom Primarch. You should see some WIP pictures next weekend. Tyrax is the twin brother of Thrax. Both are Templar champions of the holy Terran order with the mighty Inperial Fist Legion. I'll be using these two as characters for my army in an upcoming campaign for the Horus Heresy later this summer. Both are ranking Centurions often found on the field of battle fighting side by side. This year we will allow the public to purchase dice. In the past the dice were only available to those attending the grand tournament. 1) Put BeakyCon 6 in the subject line. 2) Make sure to specify how many dice you want. We will accept orders up until the end of May. The dice will ship the first week of July. Switched from the Onslaught FOC to the standard Age of Darkness with Pride of the Legion rite of war. Also finally finished my squad of Templar Brethren ! Gal Vorbak, Tips on Word Bearers from Horus Heresy • Everything CSM should be ! 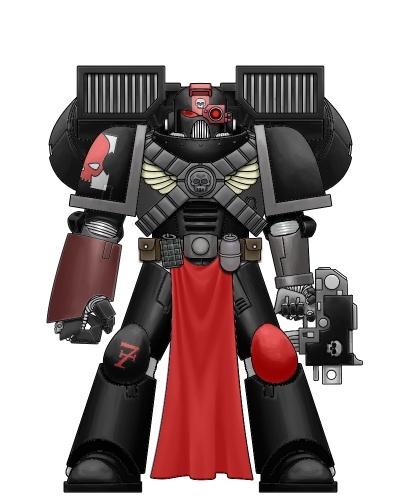 You probably know I'm working on a new Templar army but I am also in the process of collecting the models to build a Word Bearers army too - both from the Horus Heresy. GW just can't seem to get Chaos Space Marines right for whatever reason... My pet conspiracy theory is Jervis Johnson and Phil Kelly don't like them. At one time Jervis stated in an interview that individual codices would be released for each of the cults, namely Death Guard, Emperor's Children, Thousand Sons and World Eaters... But alas it never came to be which is quite unfortunate as there's lots and lots of players who love these armies. I abhor the renegade theme the CSM codex has devolved too and that's just from a background (aka fluff) point of view. We all know the many problems with the codex in general along with the abysmal supplements so I won't go there today. Let's focus on being positive because if you're receptive to the Horus Heresy or sometime better known as 30k there's lots of things to be happy about if you play a Legion. Alan Bligh is the chief developer for 30k and this man has an innate ability to write balanced absolutely fantastic rules for the legions that are rich in background. I'd go so far to say if you like to play Space Marines or Chaos Space Marines then why waste your time playing 40k and deal with the cheese that is eldar and Tau? I remember back in the days of third and fourth edition... You mostly saw Space Marines and CSM - the world of 40k was at a plateau that has long since been eclipsed I'm sad to say and I'm sure many of you feel the same. 30k brings back the old aura plus more. 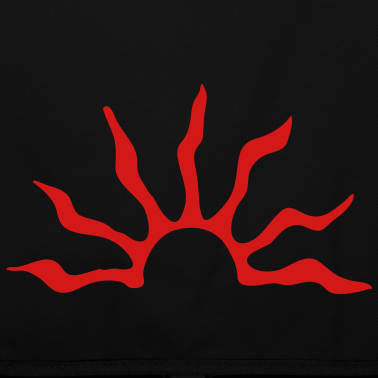 One of the best attributes of 30k is that the game is built upon a foundation of a balanced system and every legion is competitive - that's right there are no bad or suboptimal armies like Blood Angels and dark eldar. Another great thing about 30k is these armies can be integrated into 40k but of course you'll have to deal with eldar and Tau if you do so. I have pretty much lost my desire to put lots of effort into building new 40k armies knowing how much more fun I'm having playing 30k now. I still have an army to play in 40k tournaments but that's the only time I touch them now. Legiones Astartes: Units with this special rules may always attempt to regroup regardless of casualties. Sure they aren't cheap but just take a look at all that awesome !!! Two wounds apiece and their sergeant has three wounds. They are I5 and have grenades so they'll be punching first versus most enemy units and typically hitting on 3+ in melee. The sergeant is basically an HQ in and of itself. They are all S5, T5, 3+/5++ - wow wow wow !!! Plus they all come equipped with bolter, bolt pistol and chainsword - good old uber grit for the +1 attack. On top of all this wonderful awesome they are rending too... I can't say wow enough. Like I said this is what the Possessed should be. Their only drawback is they are not a scoring unit which isn't a big deal since you've got access to other units to fulfill that role. Note they can deep strike as well which is in my opinion the best way to deploy them so as to get them right where you need them. If you'd like to add some spice then take a Centurion upgraded to a Diabolist (Consul) as an HQ. The Diabolist is Daemon as well plus has Preferred Enemy Loyalist Space Marine... Evil !!! Equip him with a jump pack and attach him to a squad of Gal Vorbak so they can deep strike together... They will mess things up real fast. The Diabolist can take an ability referred to as the Burning Lore which makes him a level 1 psyker with access to Biomancy and Telepathy... Can you imagine successfully casting Endurance on the Gal Vorbak ? Crazy good ! There's also a rites of war for Gal Vorbak known as The Last of the Serrated Sun. Rites of war allow you to tweak your FOC to add more flavor and specialize it's fighting style. This rite allows you to take Gal Vorbak as troops and they must take drop pods... This gives you the means to a very effective alpha strike component that can quickly cripple the enemy. This is my first review of the Word Bearers and there will be more. I think you'll agree if you like to play CSM this is an army you'd enjoy playing. This army list corrects the many errors presented in the previous post I made yesterday. The Rites of War Last of the Serrated Sun can only field units that arrive via drop pod or teleportation... So no jump packs. 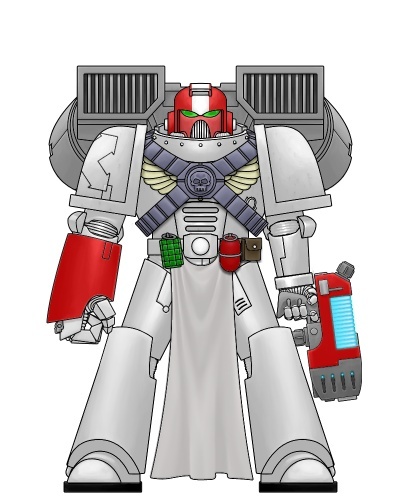 I will create a separate army for a jump heavy Word Bearers army. If you like to play Chaos Space Marines this could be the right army for you ! It has everything Chaos Space Marines are lacking. This list features a total of eight Legion drop pods for a serious alpha strike. Gal Vorback are everything Possessed Marines should be - they are truly scary monsters !!! NOTE - This list has many errors and is not legal. This combined list is for either a team event or campaign. One player brings the Last of the Serrated Sun Rites of War detachment and their team mate not playing Word Bearers brings the allied detachment. The Praetor and Diabolist join the Ashen Circle and can deep strike. 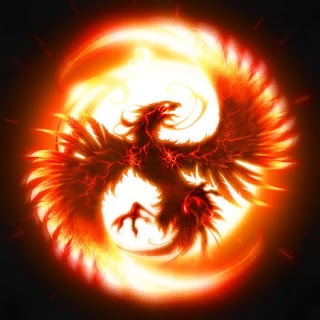 UPDATE (04-12-16) - Independent characters cannot join the Ashen Circle since they are Daemon. Drop the tactical squad for an assault squad instead to attach the Praetor and Diabolist. Three drop pods come down first turn. I played my second game with my Templars (30k) this past Friday evening versus Alpha Legion. Sigismund has discovered Abbadon along with a small contingent from the Sons of Horus are close by occupying an abandoned Forge World looting the remains. Wishing to engage the traitor in a personal challenge he orders his battle barge to make planet fall... Only then to discover upon arrival it's a trap... The Alpha Legion is crawling all over the Forge World and heavily dug in. This player will take on most any challenge. To them it's part of the game and why they play. You don't hear them whining much. This player is in it for the fun. Sure they would like to win but it's not a big deal to them when they lose. They simply enjoy playing the game as a past time. This player doesn't whine much either. These are the players who ruin the game for everyone and are hypocrites. They say they are casual but are actually very competitive HOWEVER they don't want the challenge of possibly losing to players they think are better than them. These are the players who whine the most and constantly slap each others' back - they form up a tight clique and seek to keep others outside their circle. 30k or The Horus Heresy is the up and coming game. If you like Space Marines, Chaos Space Marines, Adeptus Mechanicus or Astra Militarum you'll like it. The game has been around for about five years now and the release of Betrayal at Calth was a big boost and can help you to quickly get into the game. My first army was a Sons of Horus first company lead by Horus. I'm now slowly building an Imperial Fists army with a heavy Templar theme. Every legion has its own unique units and special characters to flesh out your armies. I can easily see 30k becoming just as popular as 40k in the next five years. I know that's a bold prediction but just wait and see for yourself. It's easy to get games versus 40k armies and here's some guidelines to help ensure it's an enjoyable experience for everyone. 1) Setup games versus 40k armies you will enjoy playing against and make sure your opponents feel the same. I recently played a game versus Orks and it was a great time. Xenos races that existed during circa M.31 also includes eldar (heh). I found that Orks make for a fun game without an unfair advantage to either side. 2) I haven't played yet versus eldar so I can't say for sure if it would be balanced but if both players work towards fielding armies that are geared around this important aspect I think it can work and this is what really counts. Talk to your opponent before the game and openly discuss your lists so that there's no big surprises and let each other know what to expect. Obviously 30k Marines are a lot like their 40k equivalents but there are some fundamental differences - one big one is 30k Marines don't have ATSKNF. 3) It's important to let your 40k opponents understand what are your special rules and units... This includes exotic weapons only available in 30k such as Phosphex and Volkite. There are also weapon types such as Graviton that have fundamental differences. You don't often see tournament organizers allowing the use of 30k armies in a 40k tournament and I think the main reason is because they don't know what to expect. If you can make 40k players feel comfortable then it's a win-win scenario. I'm not advocating the inclusion of 30k in 40k tournaments but I think over time it will become more excepted. 4) Not all units are scoring in 30k and this is one of the biggest differences between the two gaming systems. A good house rule for 30k versus 40k is to allow 30k units to score like 40k - otherwise 40k armies have the potential for a big advantage. Presently 30k only has some units that can score (i.e., hold or contest objectives). These 30k units are the equivalent of being Objective Secured... All other units cannot hold or contest objectives. This is a big deal for 40k missions that use Eternal War or Maelstrom objectives which are the vast majority. An alternative is to use missions like Purge the Alien that don't use objectives or you can design your own custom missions. Going back to the first point really the main thing is to pick games both players will enjoy otherwise it's going to be hard after your first couple of games. This is a great way to introduce 40k players to 30k and you just might introduce some new players to the rank of 30k. The other three armies on my team were Space Wolves and White Scars. Note that the Space Wolf army featured a lot of Thunderwolves. Both of the White Scars armies were composed purely of biker units. Onee army on the team can bring a formation which of course was my army. This was useful since it allowed me to field two HQ. In my opinion the Interrogator Chaplain with my build is overall more powerful than Sammael. The Chaplain must be protected since his special abilities are very useful - Fearless, Hatred and Preferred Enemy. The Interrogator Chaplain is just as durable as Sammael since both have a 3+ armor save and 4++ invulnerable save. Combined with any of the other three armies from my team the overall mix tended to produce an assault oriented force over shooting. RSF has a special rule that if you use reserves it must be the entire formation but they all automatically arrive on turn 2 and can outflank. This can be extremely powerful but must be properly executed. Obviously you must have at least one unit you can deploy that can weather the first turn... You must examine the enemy army prior to the start of the game to decide if this is feasible. If you're up against an army like drop pod Space Marines it's probably not a good idea. You'll want to go second so your opponent will have one less shooting phase versus your reserves. This is a total beta strike tactic and you can really catch some opponents off guard since most Ravenwing players tend to start on the table and scout up. If you can take out a couple of your opponent's heavy hitters it can put you up front plus pressure your opponent. Think of it as a drop pod army where every unit arrives on the second turn plus they are highly mobile afterwards unlike foot slogging infantry. I had a couple games I deployed everything and scouted up - the deployment was Dawn of War both times with little to no line of sight blocking on the table. I prefer to reserve now otherwise though against armies without Interceptor... The big drawback is you won't be able to assault until the third turn which can be mitigated by the amazing re rollable cover save for Ravenwing. The combination with Space Wolves or White Scars provides you with highly durable units that should be able to assault on turn 2 drawing the heat off your Ravenwing. I did overall quite well my games in the 40k team tournament. I developed some new tactics for Ravenwing over the weekend which I think are pretty hot and I will write at least one new tactical article along with a summary of my games.